He may be 52, but Tom Cruise can still hold his own against the world's most notorious criminal masterminds. The first trailer for the fifth instalment in the popular Mission: Impossible series has just been released and as expect, things look more impossible than ever for IMF agent Ethan Hunt - a chactater Tom has been playing for almost 20 years! In the latest in the hit franchise, Mission: Impossible – Rogue Nation, secret agent Hunt must save the world this time from underground agency The Syndicate. By the looks of things, producers have upped the ante in terms of stunts and special effects for the new flick. Will you be watching? 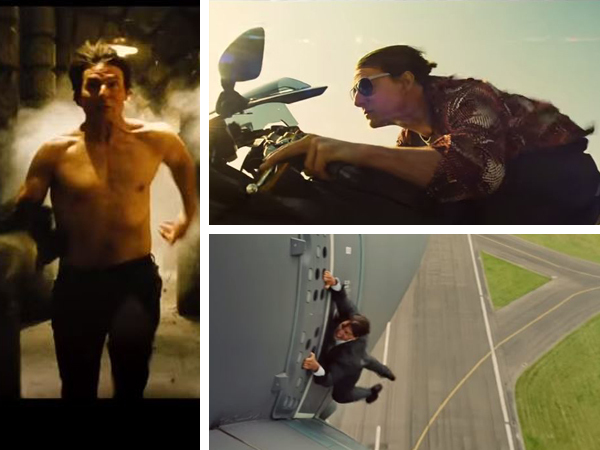 Mission: Impossible - Rogue Nation is released end of July.